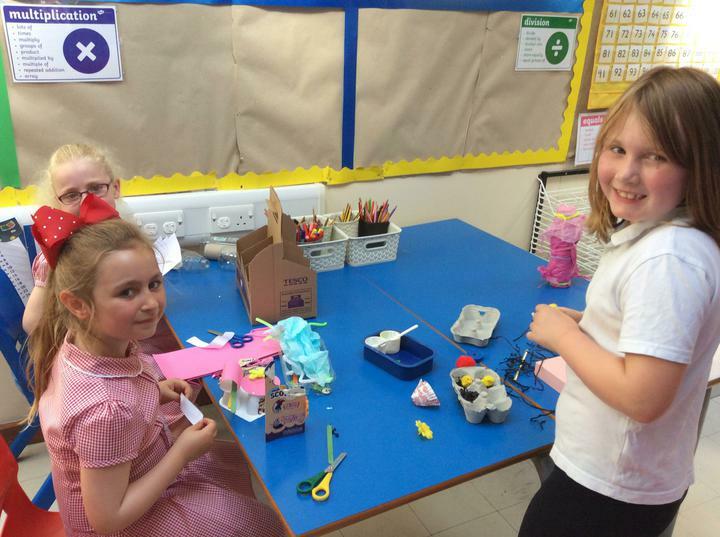 Teaching Assistants: Mrs Simpson and Mrs Deary. 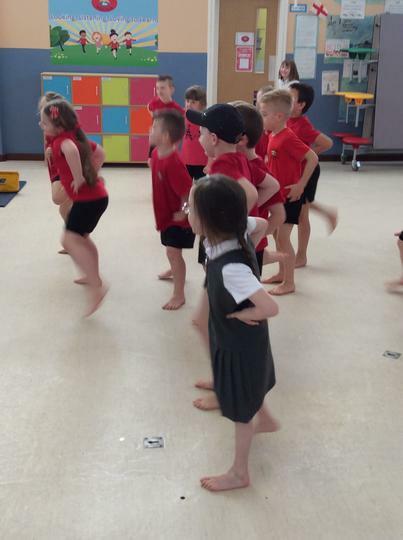 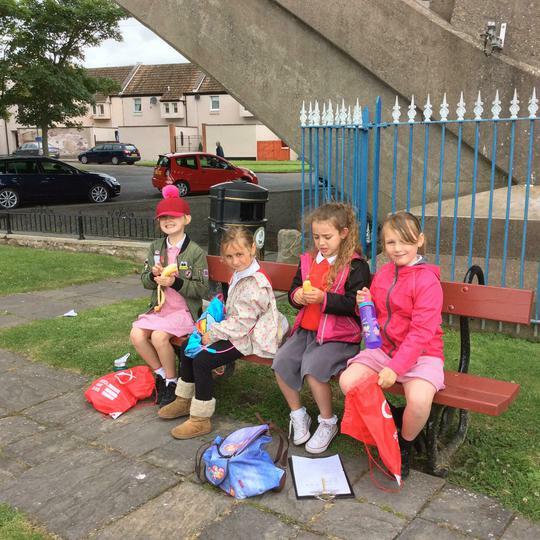 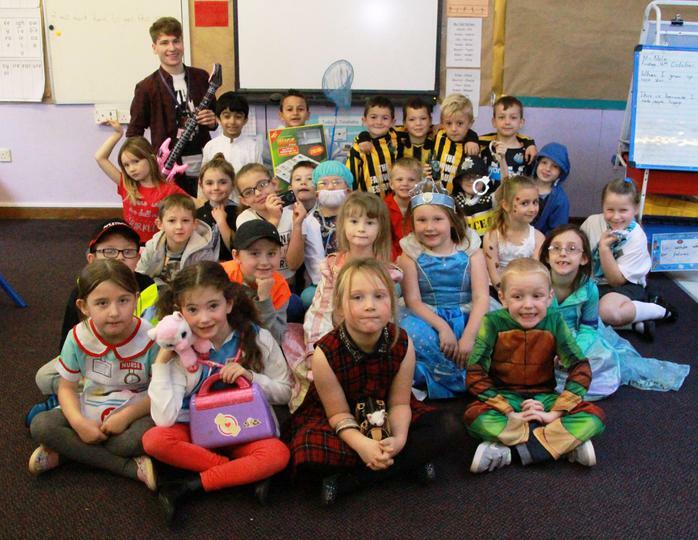 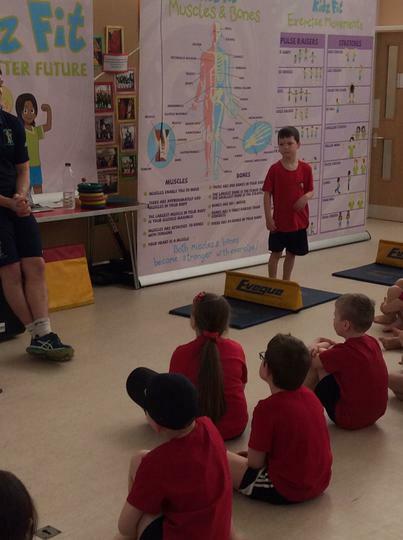 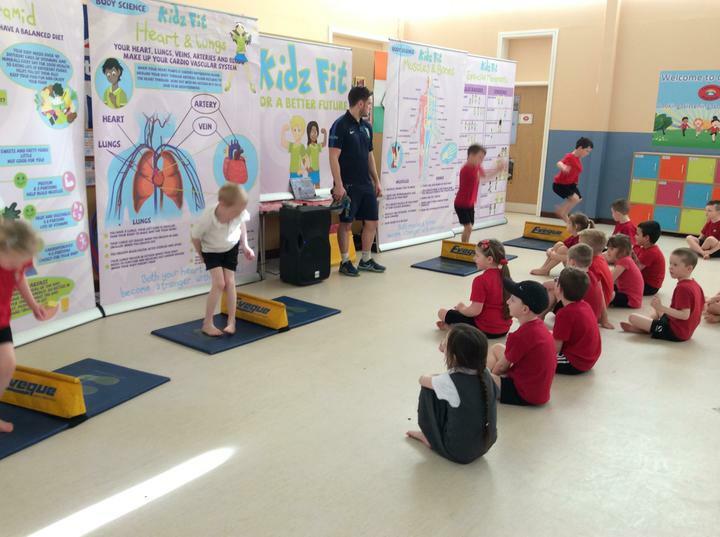 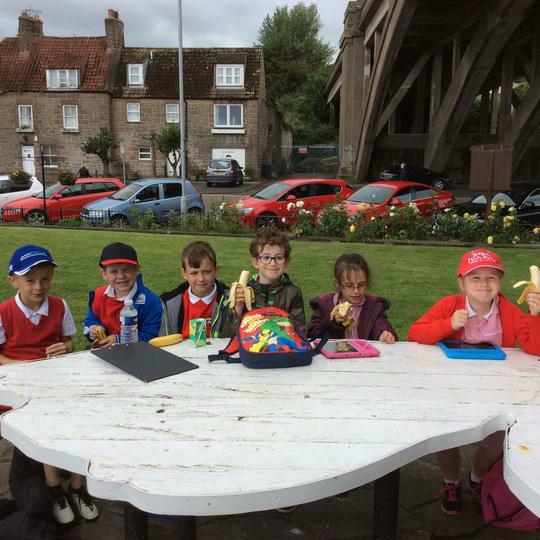 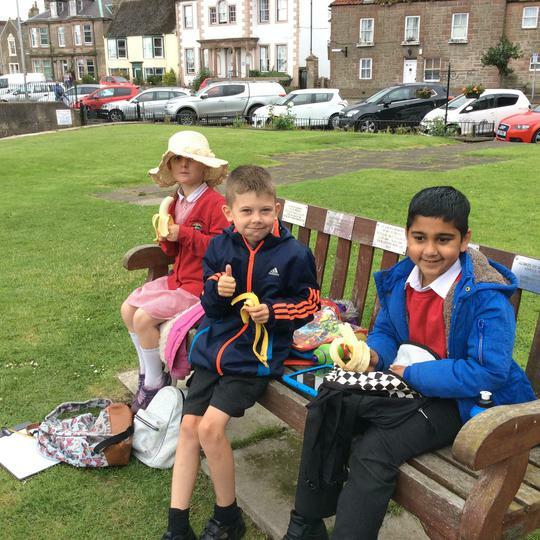 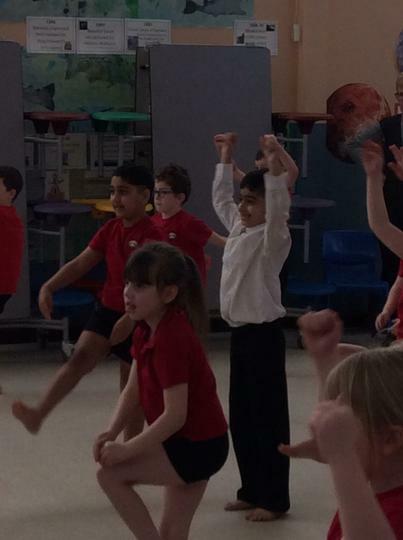 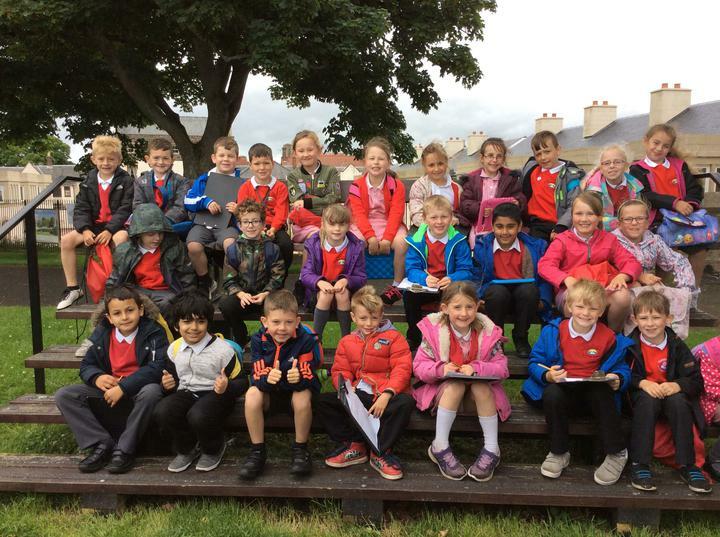 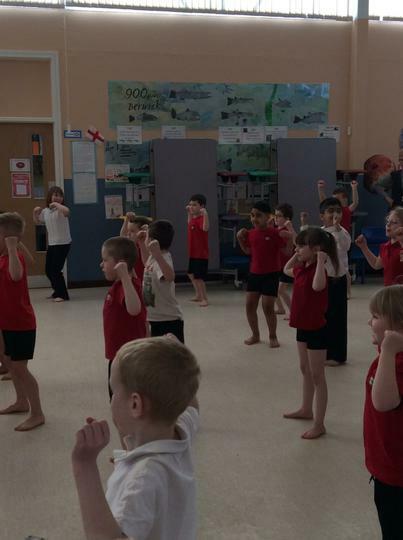 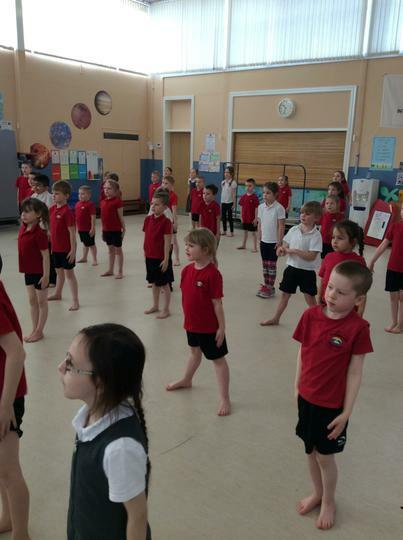 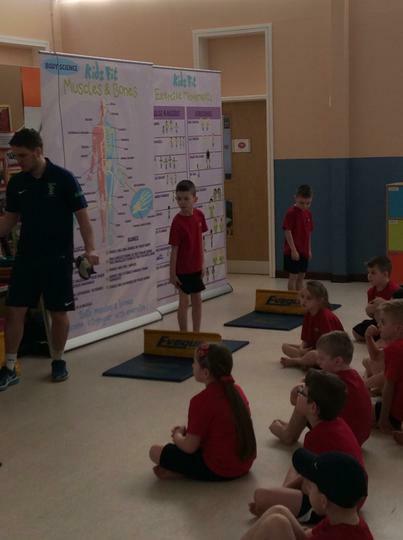 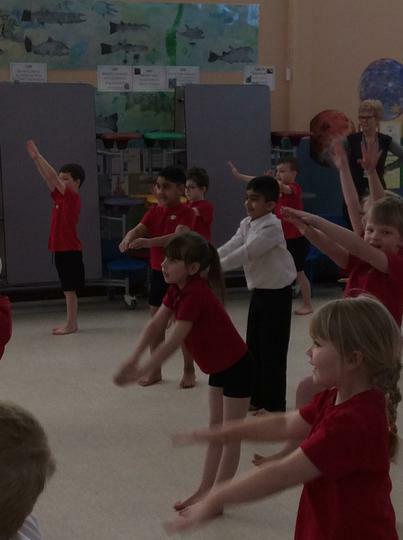 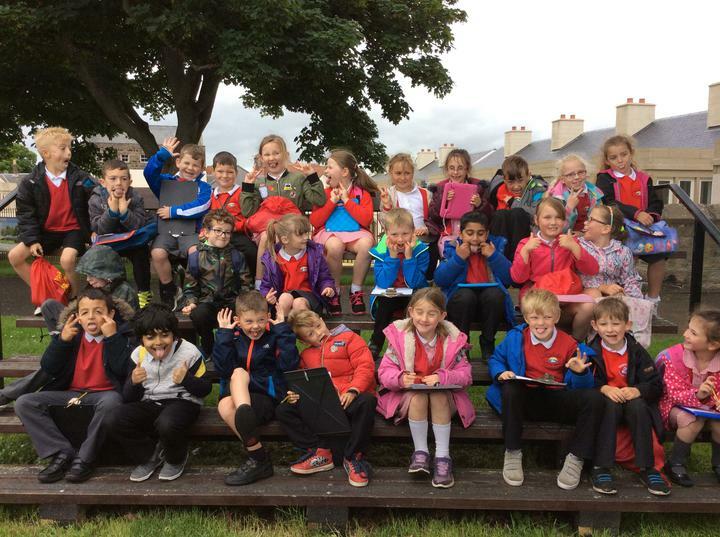 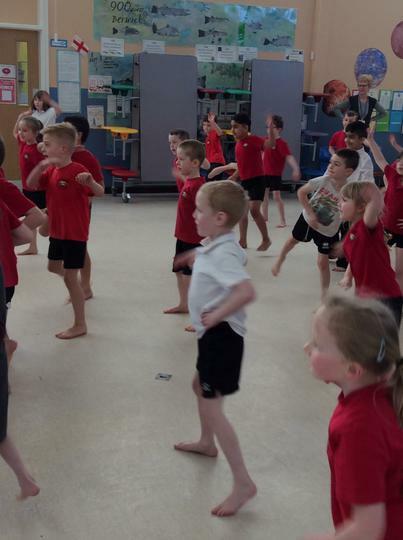 Class 2 will do PE every Wednesday and Friday afternoons. 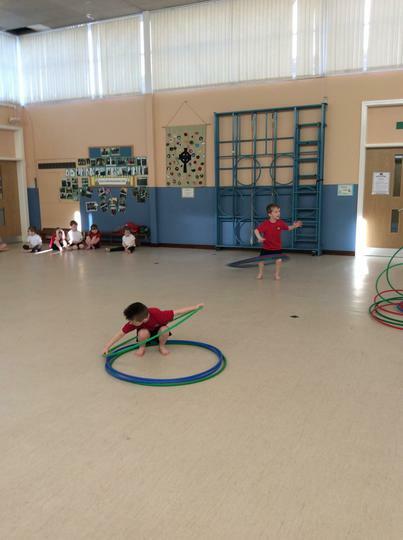 We will also go swimming every Thursday morning. 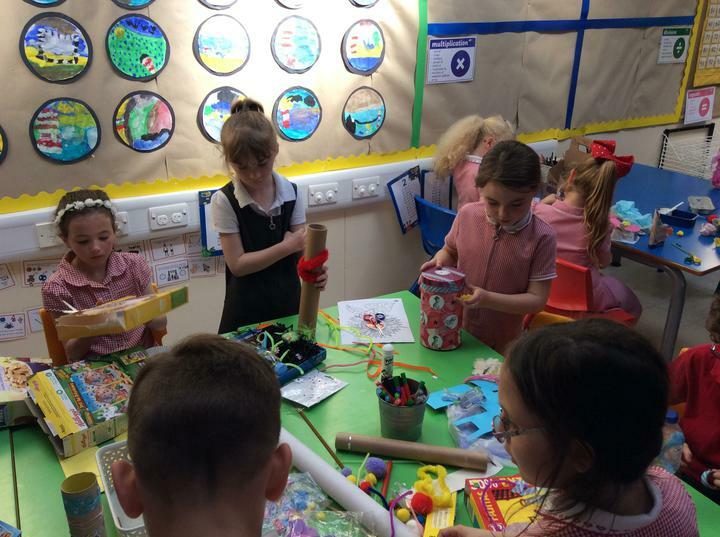 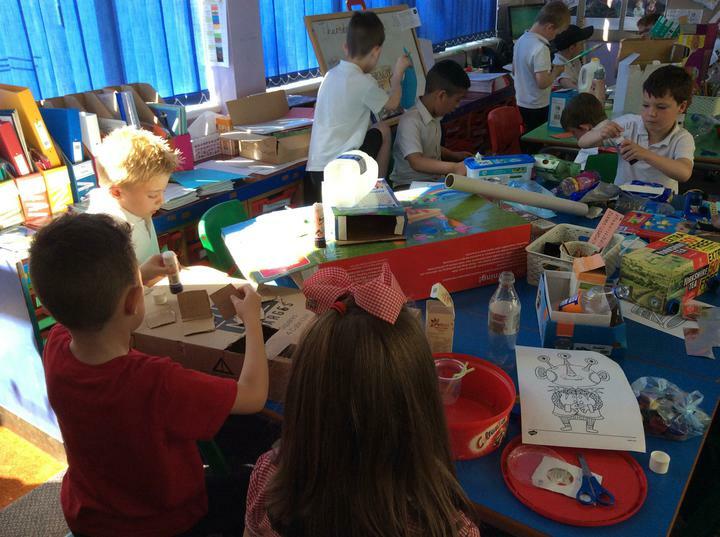 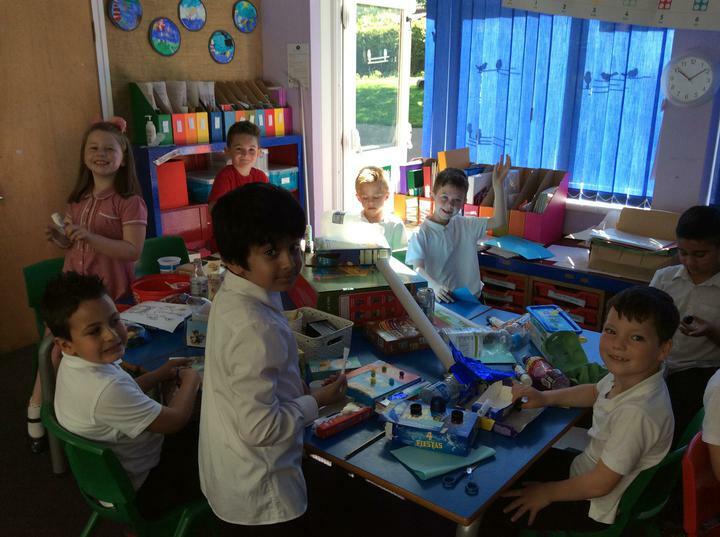 Class 2 worked so hard during their SAT's so as a class we decided we would like to make models together. 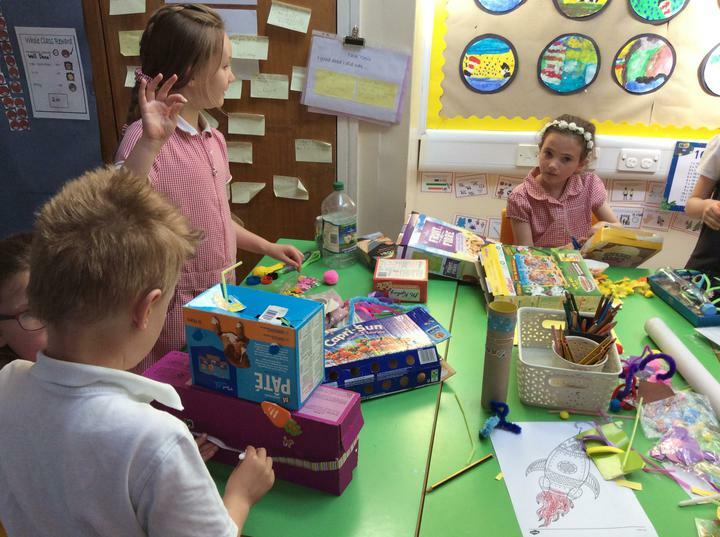 We all brought in materials to share with our class and we all got a certificate at the end of the day. 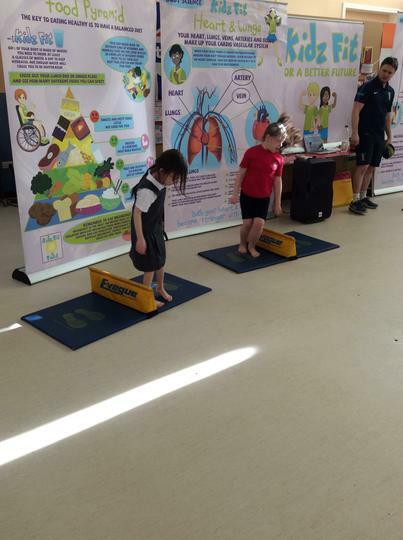 bodies fit through food and exercise. 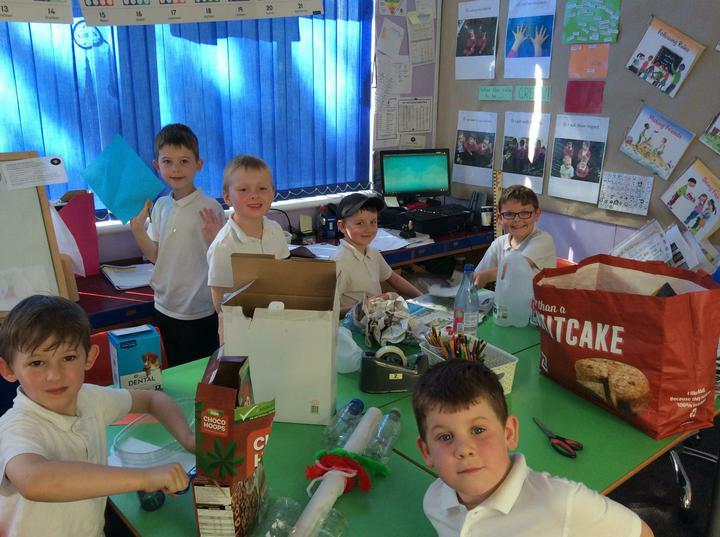 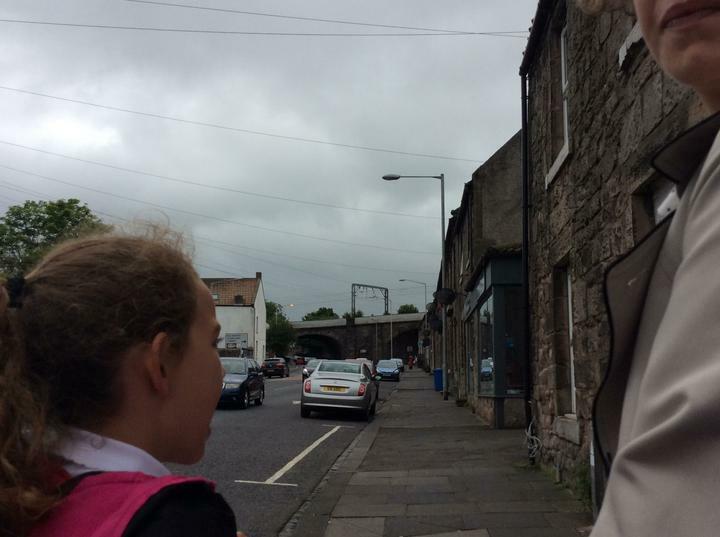 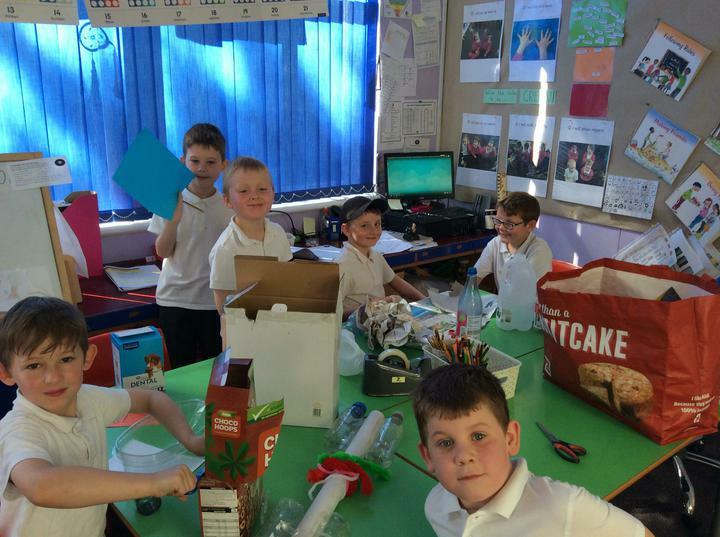 We have been working scientifically in class to find out which material is best to make a road. 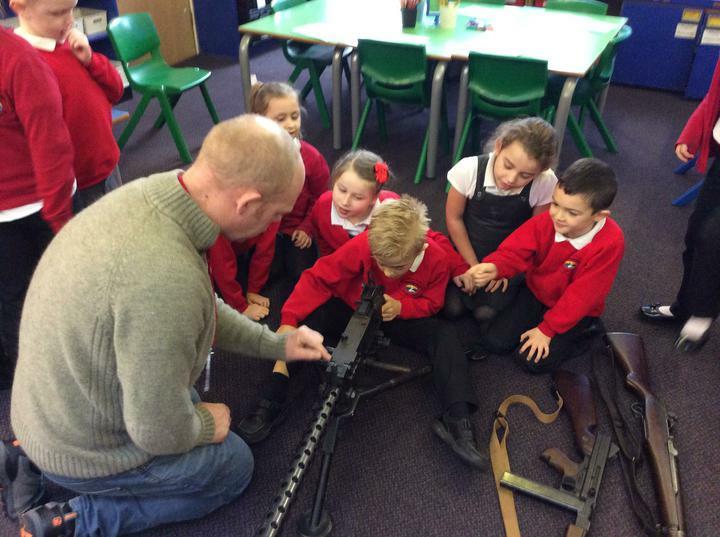 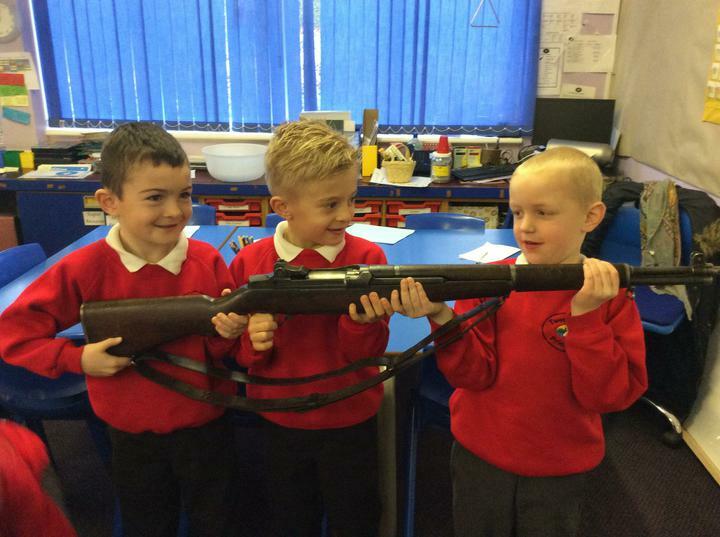 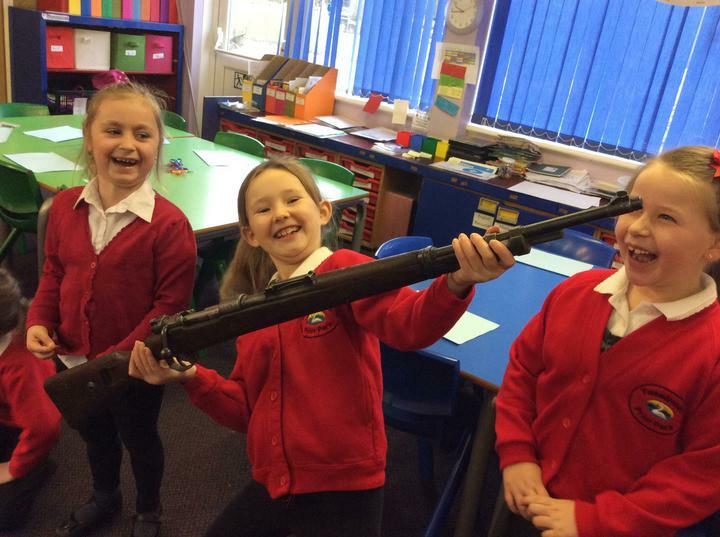 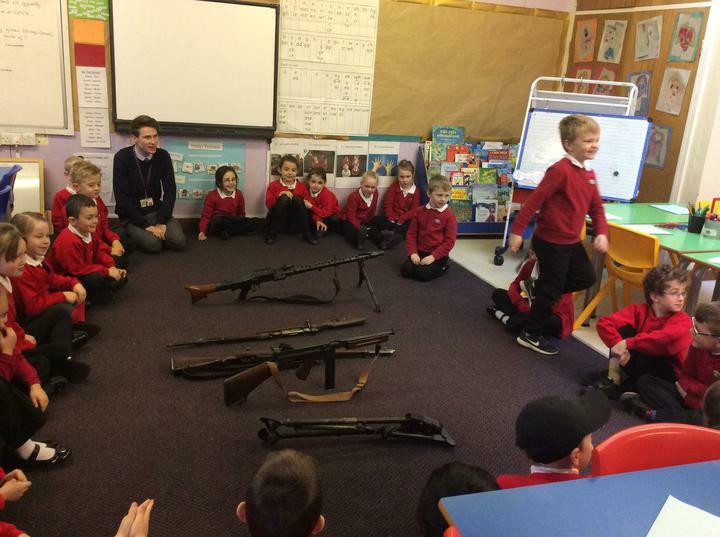 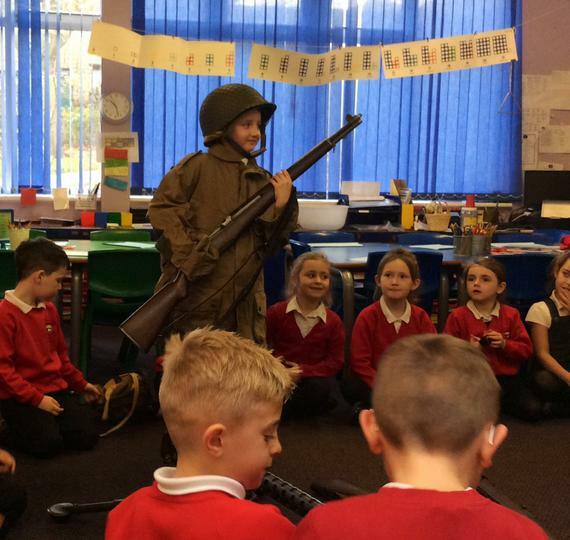 We have been learning about World War 1 and were able to handle weapons and uniforms from that era brought in by one of our parents, John Howe. 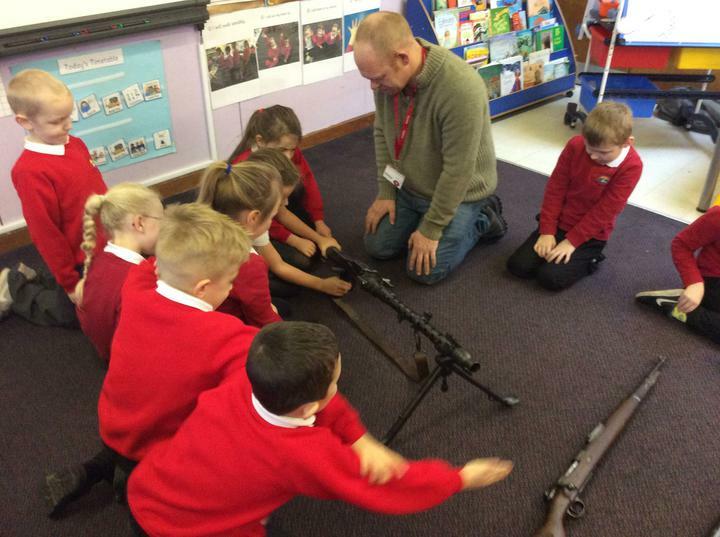 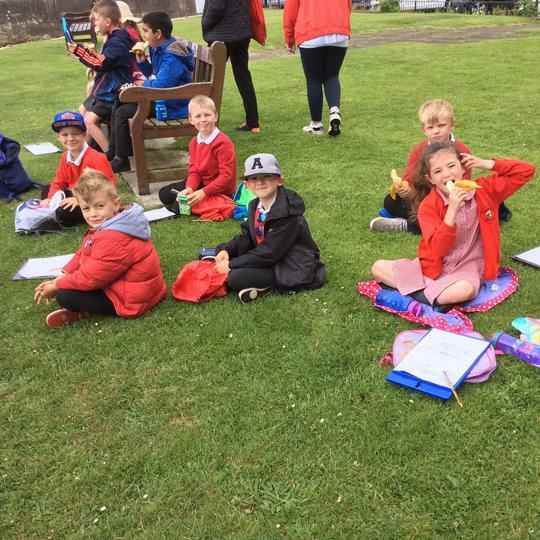 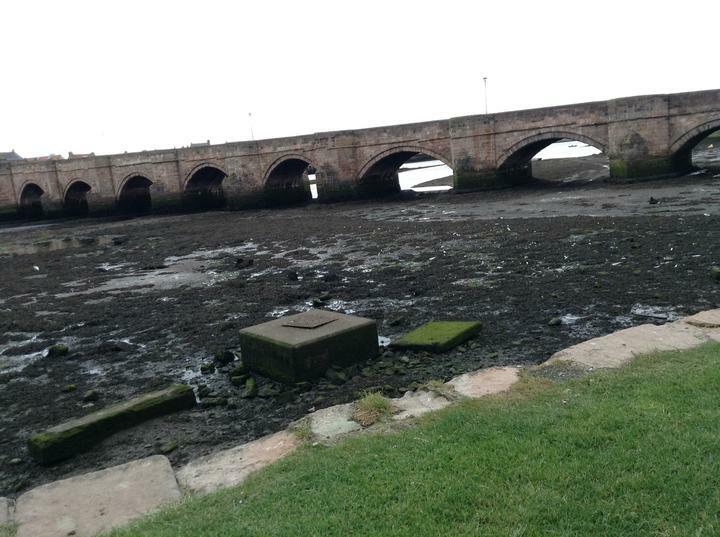 It was very interesting and we felt very lucky to be able to handle these historical artefacts. 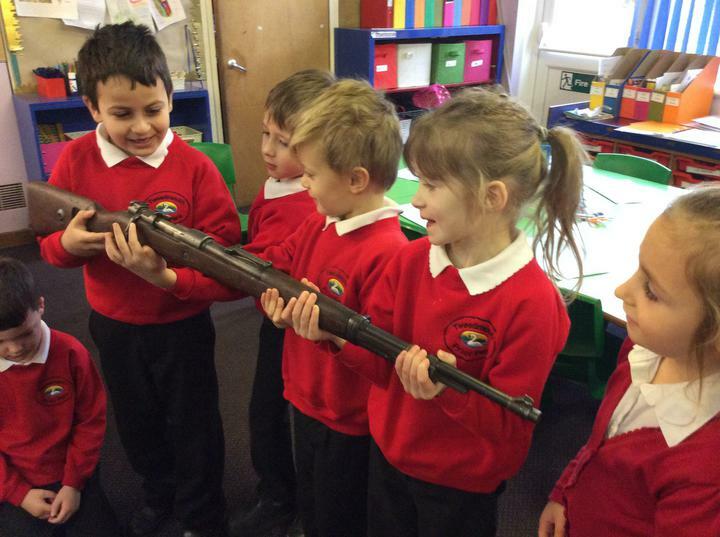 We were surprised to feel the weight of the guns that a soldier would be carrying into battle. 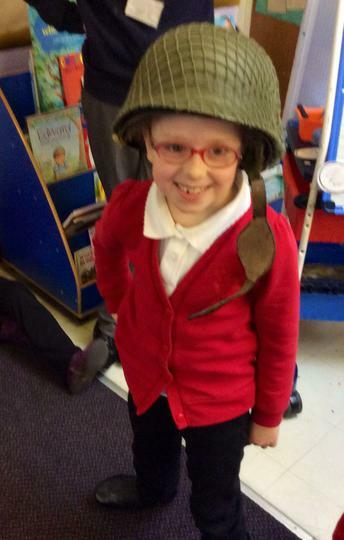 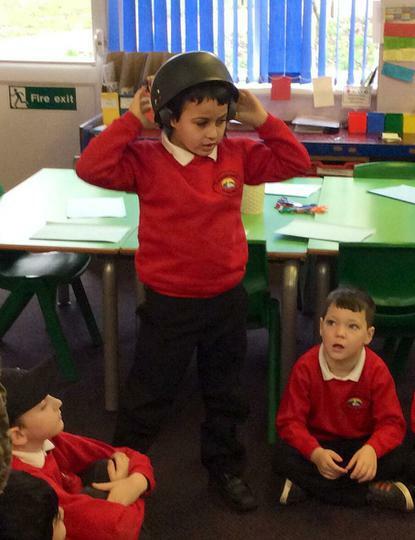 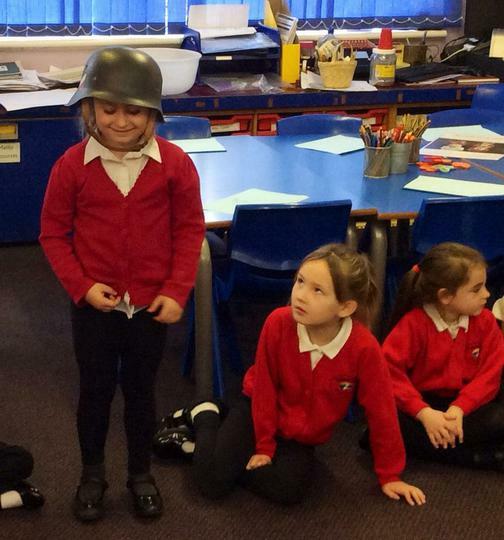 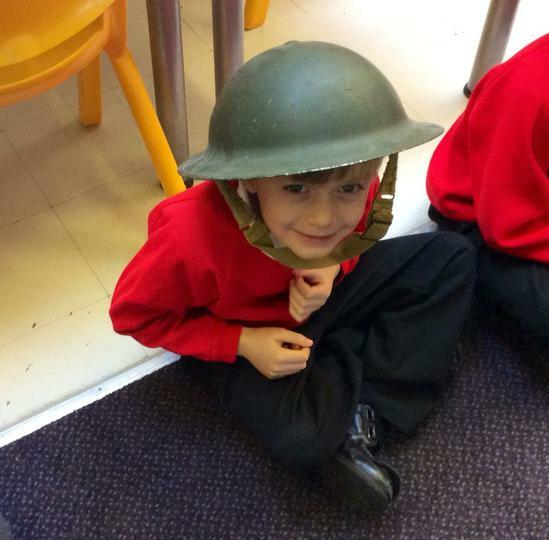 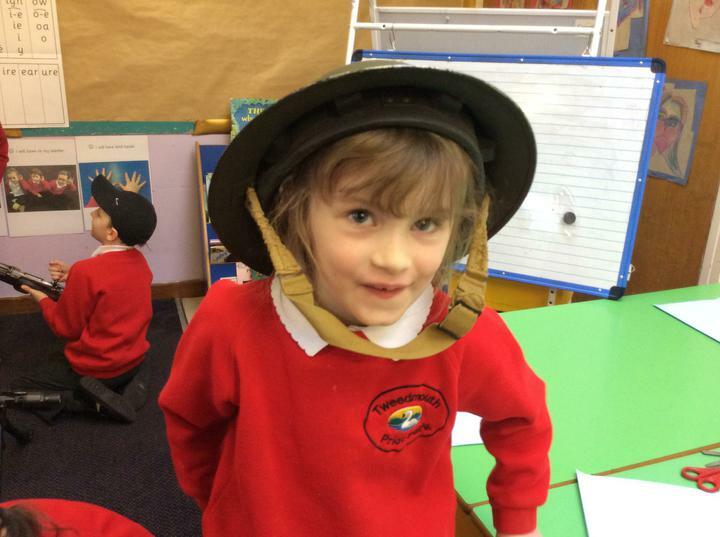 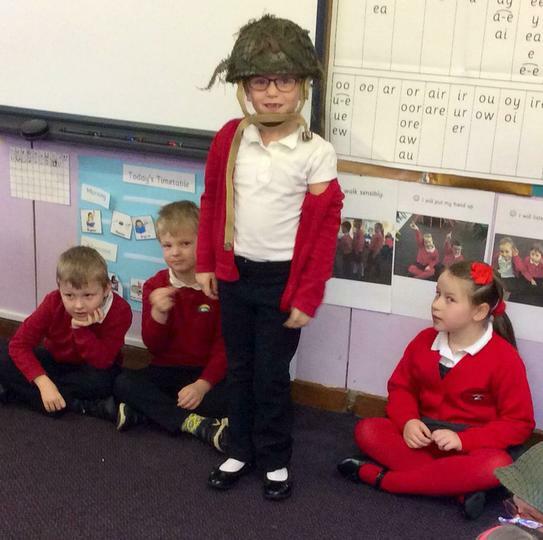 We learnt what it was like for a regular soldier in the British Army during WW1 and saw the helmet they would have worn. 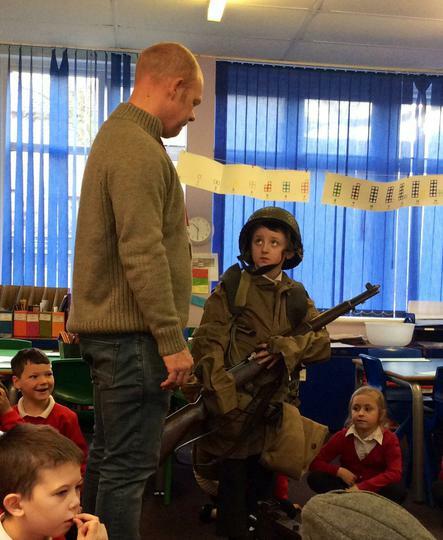 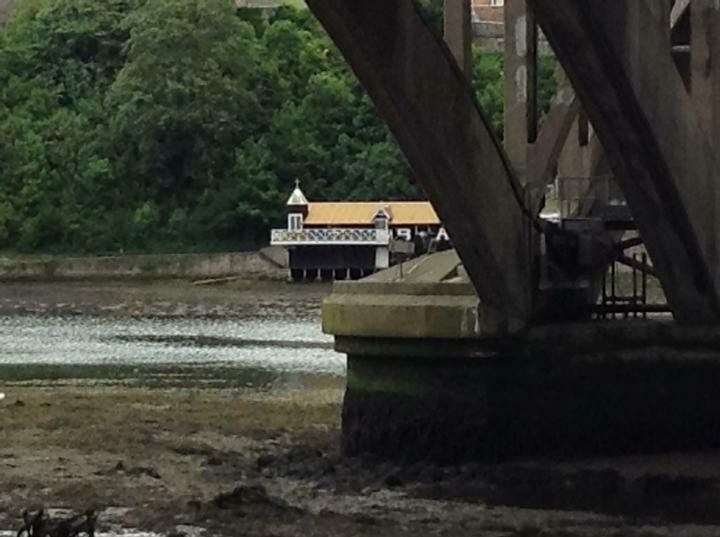 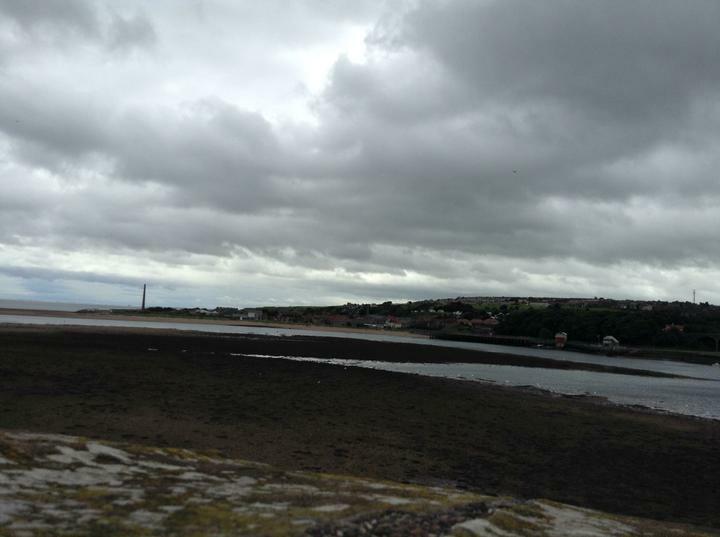 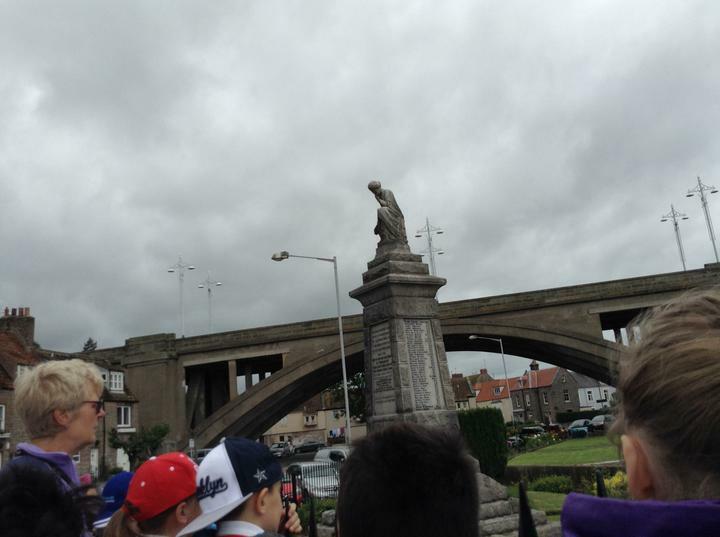 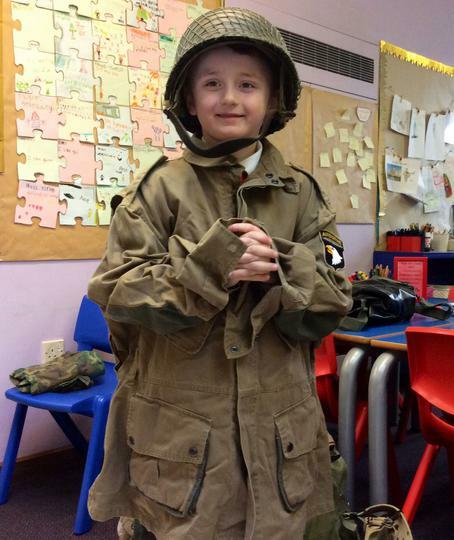 A great big thank you to John, who has also served in the British Army. 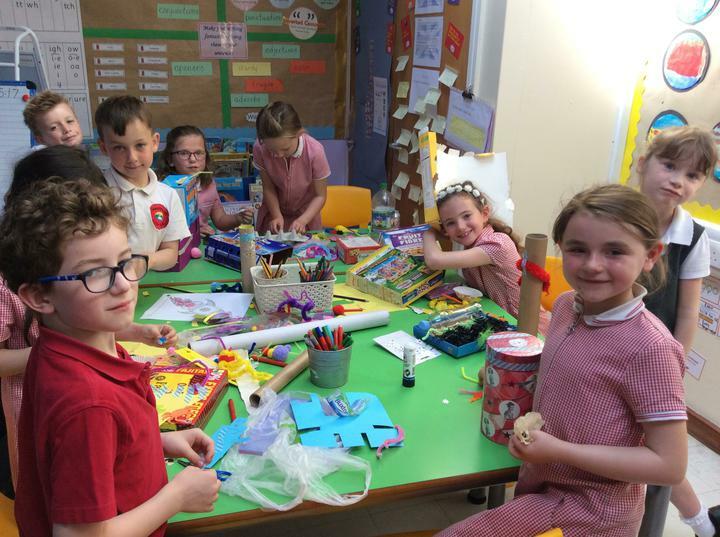 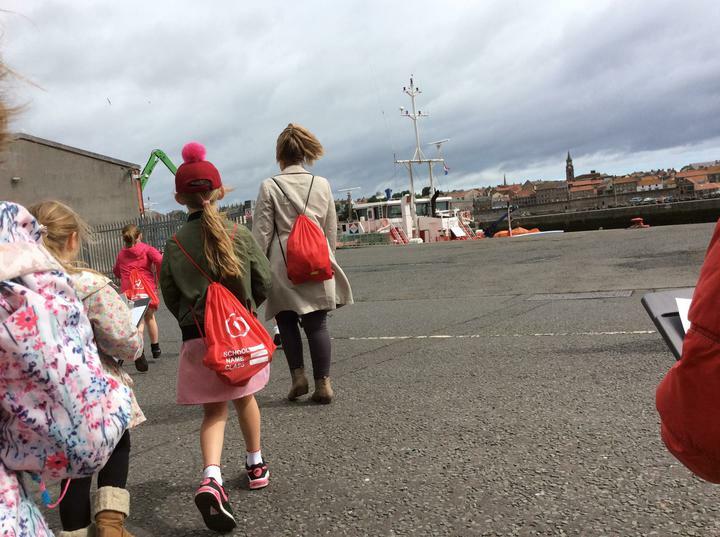 We have spent our first week refamilarising ourselves with the numicon. 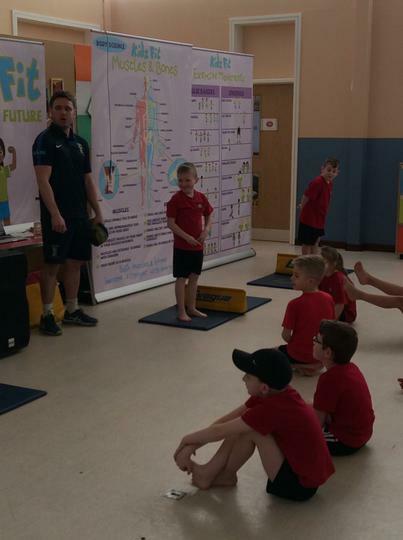 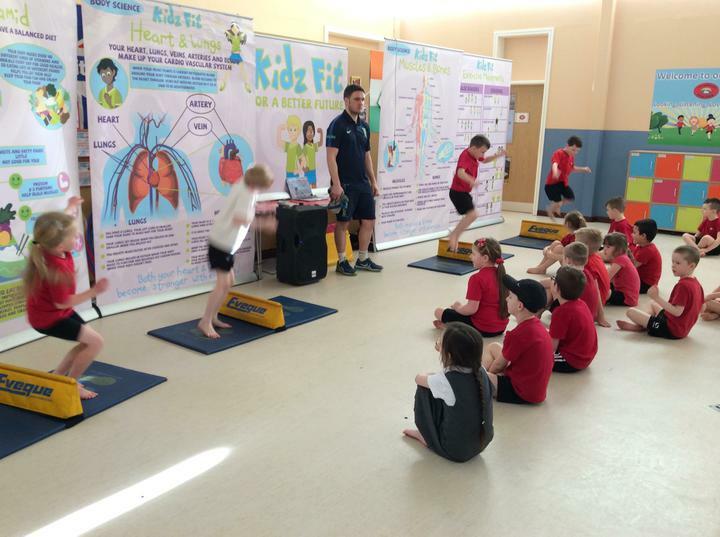 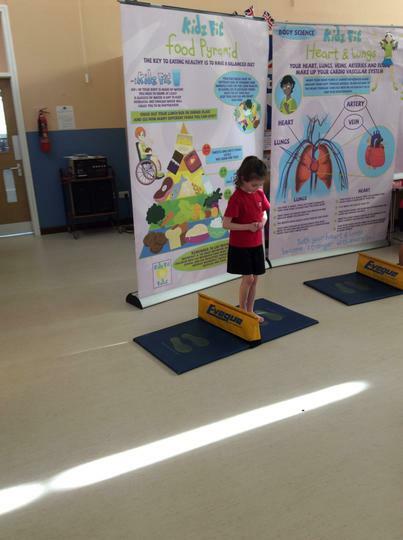 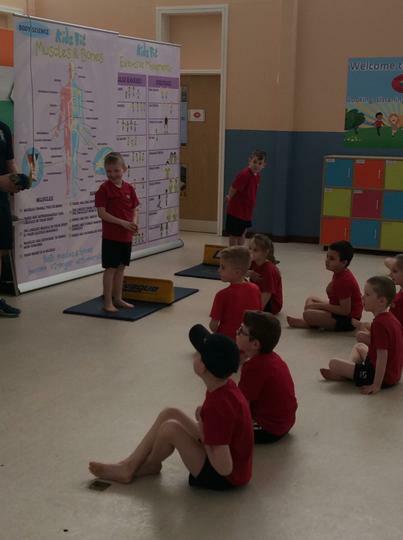 We had a great first PE lesson focusing on basic skills.